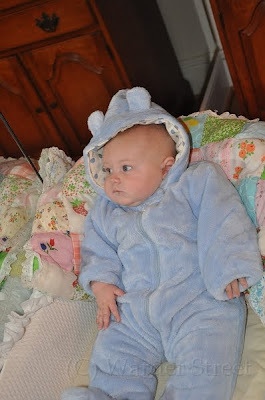 Since almost the day I found out I was pregnant, I knew exactly which winter coverall suit I was going to get for the baby. 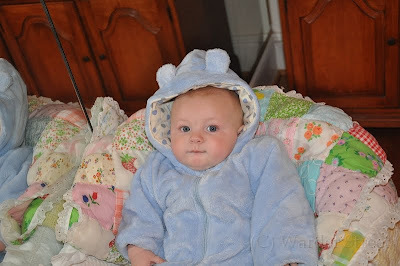 I bought it in September when it was still 80 degrees out and have been waiting for it to get cold enough for William to wear. 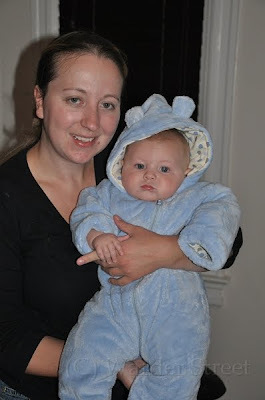 A few days ago when Taylor and I decided to walk to dinner, I realized it was FINALLY time to put William in his blue bear outfit! Whoo Hoo! Look how snuggly and warm he is!